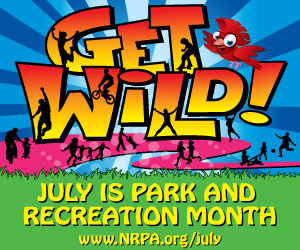 EDITOR’S NOTE: This is the final post of a five-blog series observing Parks & Recreation Month. The summer I turned 13, my mother took a trip to Africa. It was 1986 and my family lived in a small community about an hour west of College Station, where my father worked as an administrator for the College Station Independent School District. He commuted to work, leaving me home alone for 10 or 12 hours each day. With my newfound independence, I thought I was in heaven – for about a week. There wasn’t much to do in a town of fewer than 1,000 people. In the mid-1980s, no one had the internet, iPads or cell phones, and in my house, we didn’t even have cable television or an Atari game. One hot summer day, as a friend and I sat on the porch swing watching the world go by, we spied my sister’s 1968 Ford Galaxy 500. The next thing we knew, two 12-year-old girls named Jana and Sheryl were cruising the streets of Lexington. It didn’t take long for news to travel that we were cruising around town, and it spread even faster when we popped the front right tire. We drove the car the mile back to my house, destroying the rim in the process. With my mother out of the country, my father dished out the discipline – and the consequences changed my life forever. Since I had clearly proven I couldn’t handle staying home alone, my father’s solution was to drag me to College Station every morning at 6:30. At the time, CSISD’s recreation-based Summer Day Camp fell under my father’s umbrella of responsibilities. I soon learned that he was developing a Counselor-in-Training program at the camp and I would be one of the very first trainees. I spent the rest of that summer working 10-hour days as a camp grunt – for free. And it was an absolutely amazing experience. On the camp’s last day, I jumped into my father’s car and declared “This is what I’m going to do with the rest of my life!” I spent the next five summers working for free, and I wouldn’t have traded the experience for anything. It sparked in me a flame for Parks and Recreation that still burns today. In the summer of 1991, when I was about to turn 18, we moved to College Station, which was a big city to me. Through my previous experience with the camps, I was able to get a part-time job with the College Station Parks and Recreation Department. On my first day, I discovered the staff had a genuine passion for their jobs and for the people of College Station. They worked hard every day and were great at what they did. I knew I didn’t just want to be like them; I wanted to be one of them. Everything that group of professionals did was dedicated to benefitting the residents of College Station. I was hired to work in programs and special events, which included Movies in the Park, Brazos Folk Fest, Christmas in the Park, Kids Klub and the opening of the Wolf Pen Creek Amphitheater. I applied the strong work ethic I developed as a teenager and took great pride in helping the department support our citizens. Much to my delight and honor, I quickly became part of the team. I had found my home, and that first year soon turned into 21. My primary responsibility has always been directing Kids Klub, my natural passion, but I’ve worked softball tournaments, planted trees, became acquainted with Santa Claus, repaired expansion joints at Adamson Lagoon, managed concerts at Wolf Pen Creek Amphitheater, scrubbed commodes, worked track meets and planned events for international guests. Through it all, I’ve learned that Parks and Recreation makes a positive difference in everyone’s life, not just mine. As I reflect on my career, I realize that I’ve never dreaded coming to work, which has always given me joy and fulfillment. Maybe it’s because I enjoy the people I work with, or the joy our programs and parks bring to our citizens, or that my job is just that much fun. Maybe it’s a combination of all those things. I truly regret taking my sister’s car for that joyride 26 years ago, but I’m sure thankful for the punishment my father imposed. Parks and Recreation not only changed my life, it’s become my way of life. Fall registration for Kids Klub is underway, so sign up today! For more information, visit cstx.gov/kidsklub. This entry was posted on July 31, 2012 by City of College Station. It was filed under Parks and Recreation, Public Communications and was tagged with Parks & Recreation Month, Parks and Recreation.